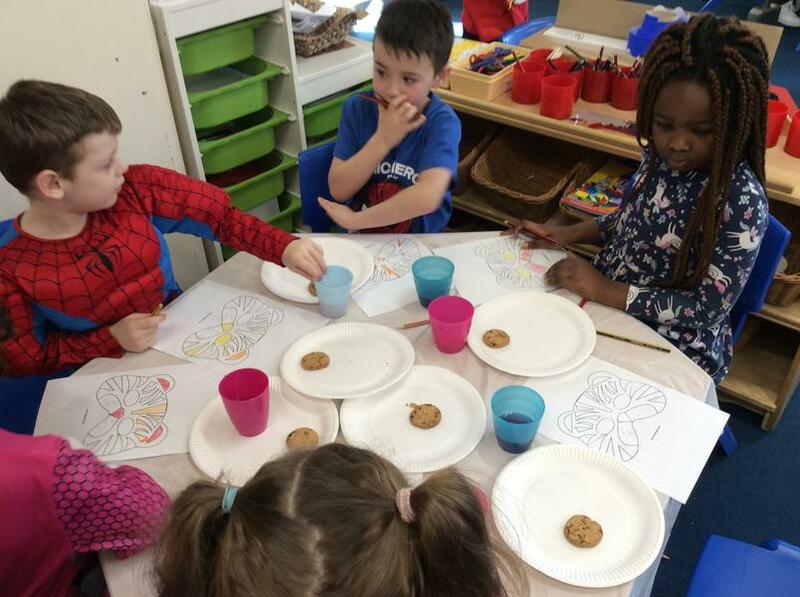 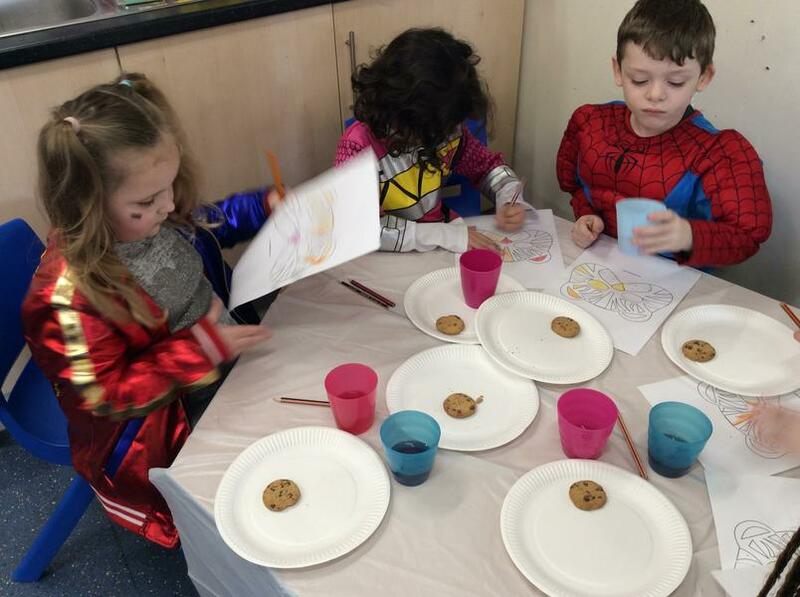 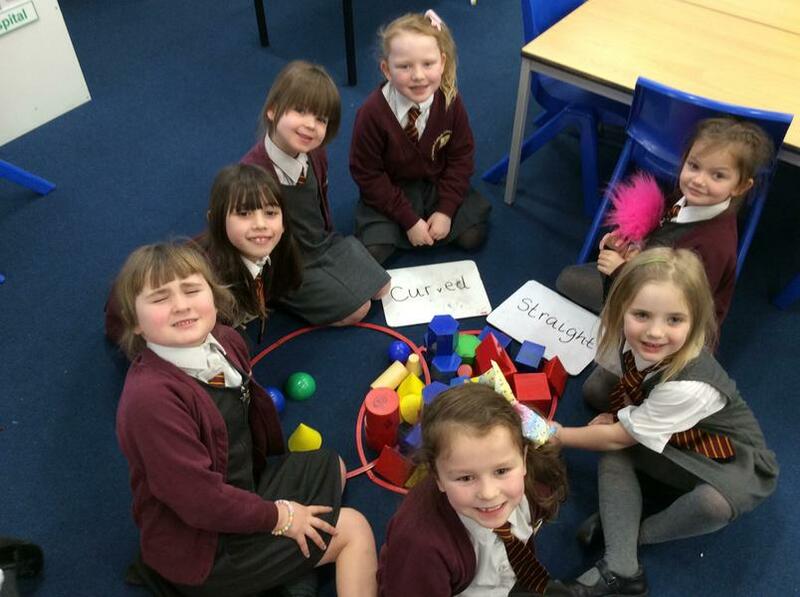 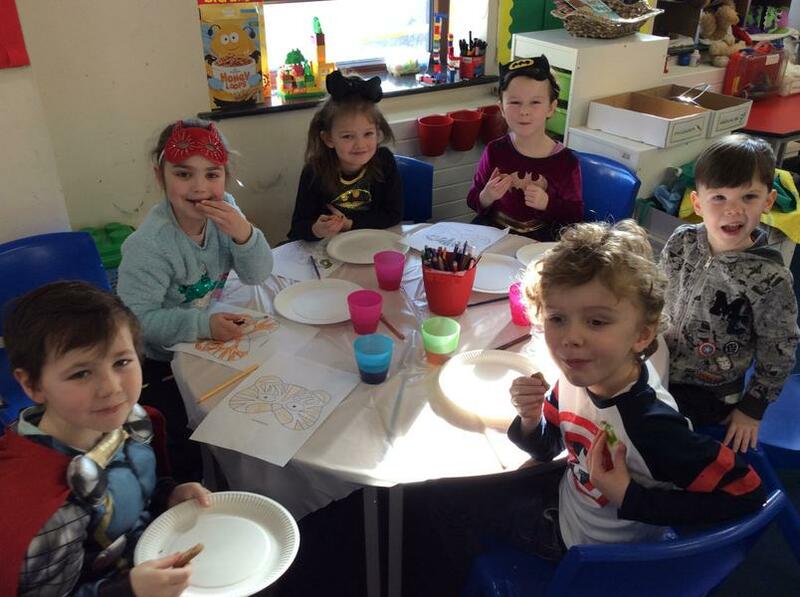 To celebrate the end of our topic Paws, Claws and Whiskers we had a tea party! 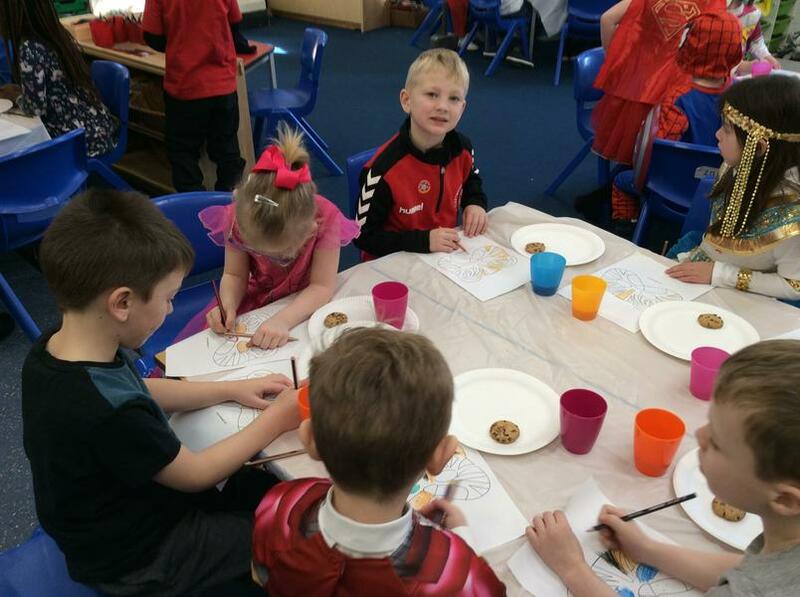 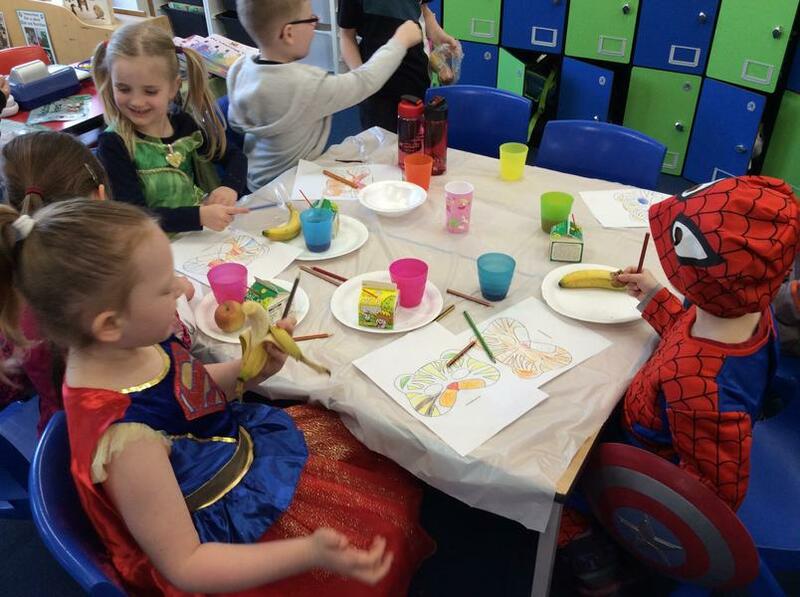 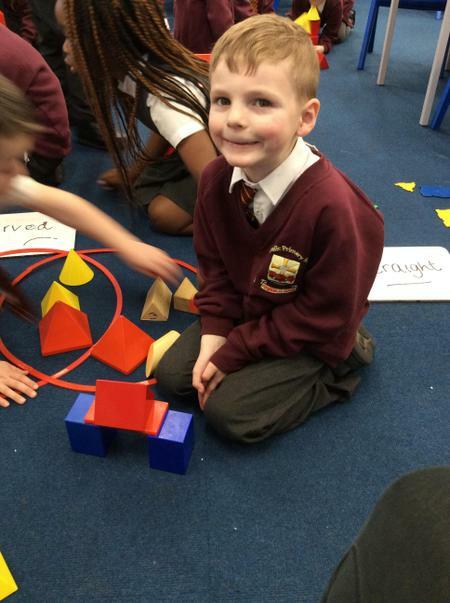 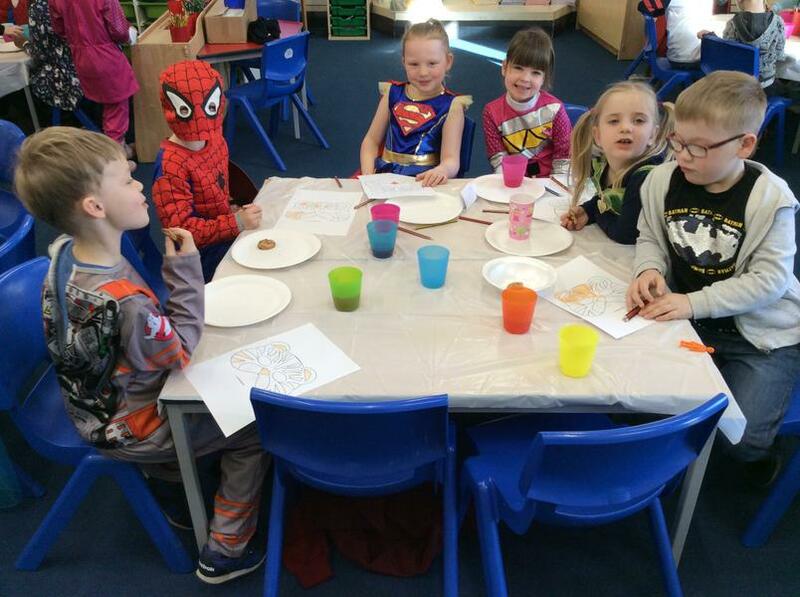 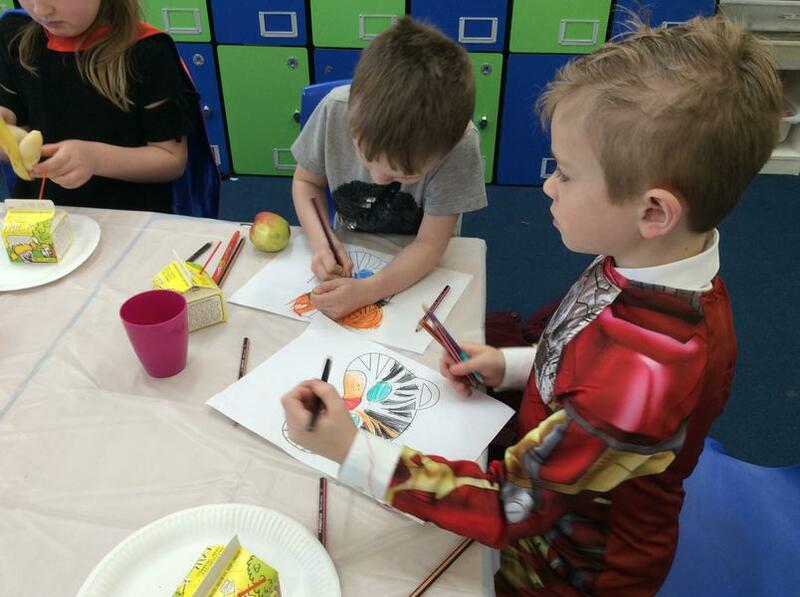 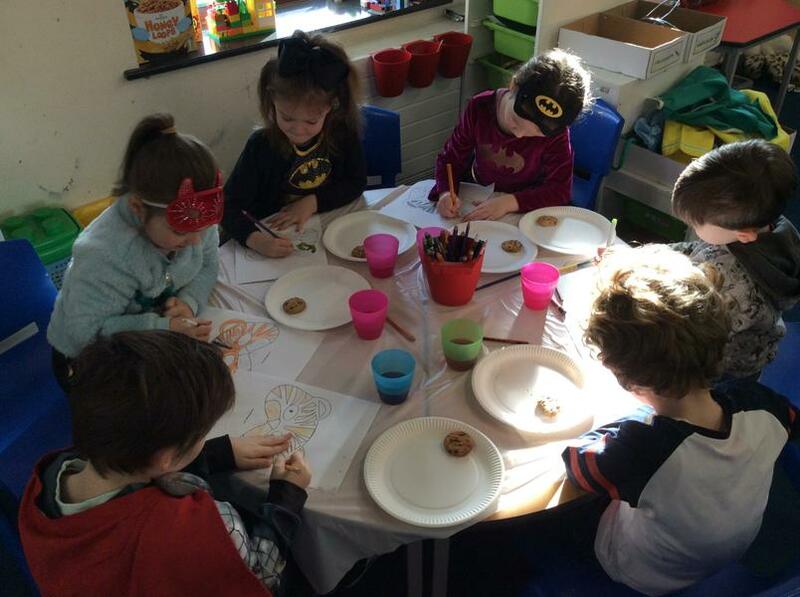 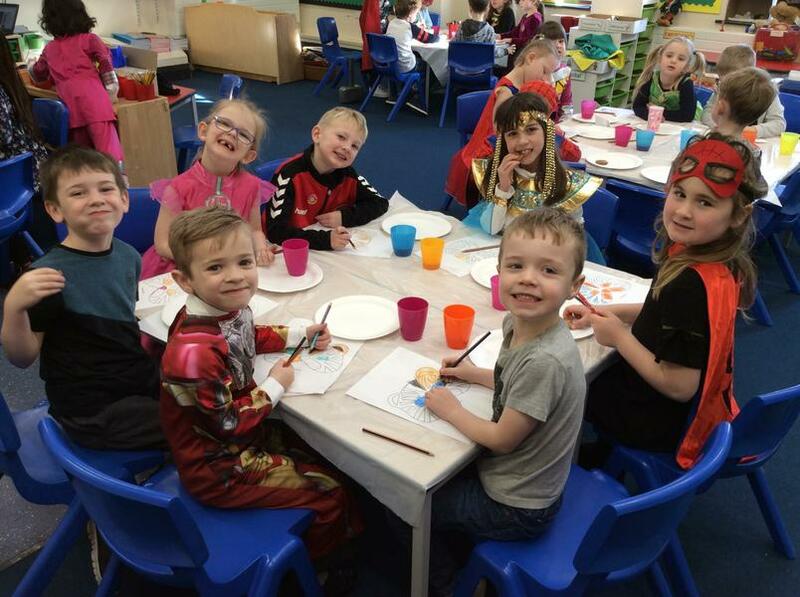 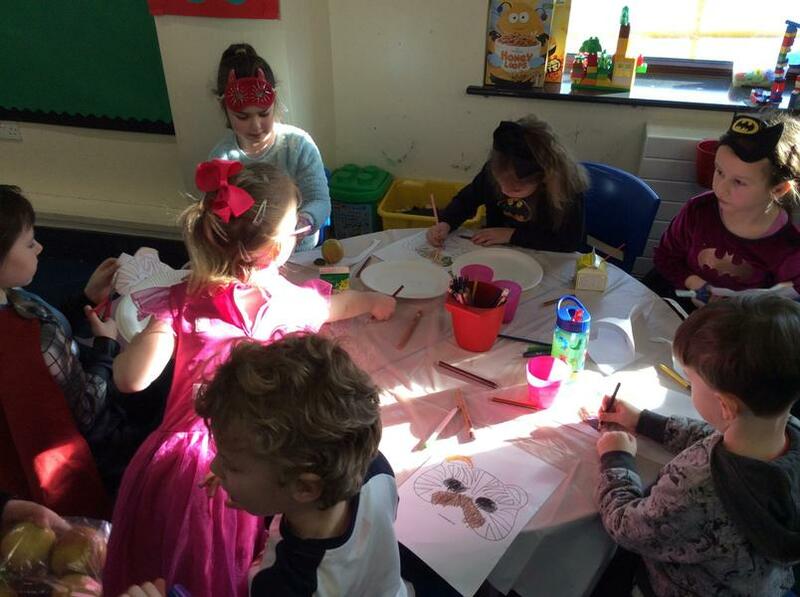 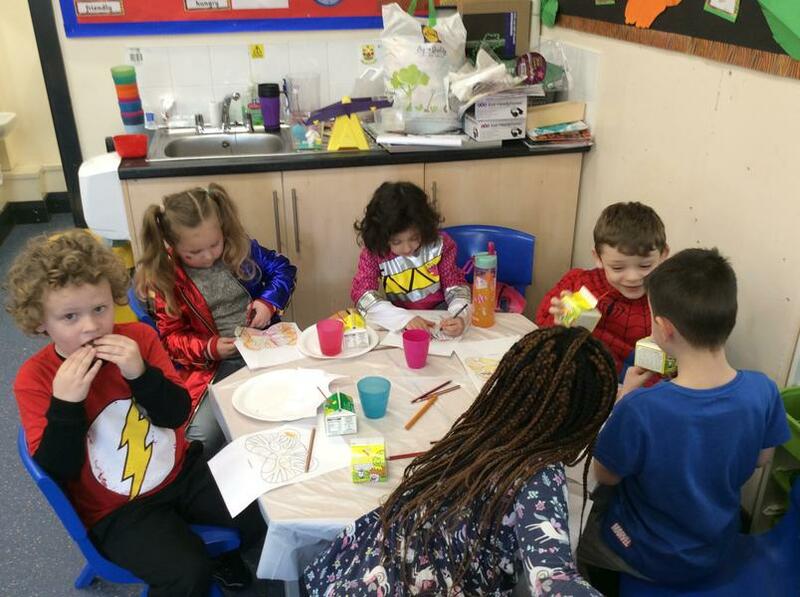 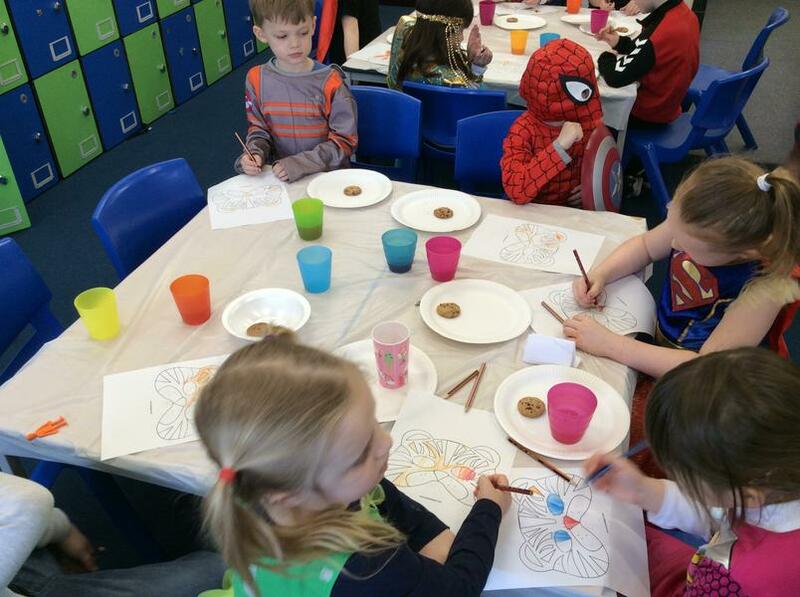 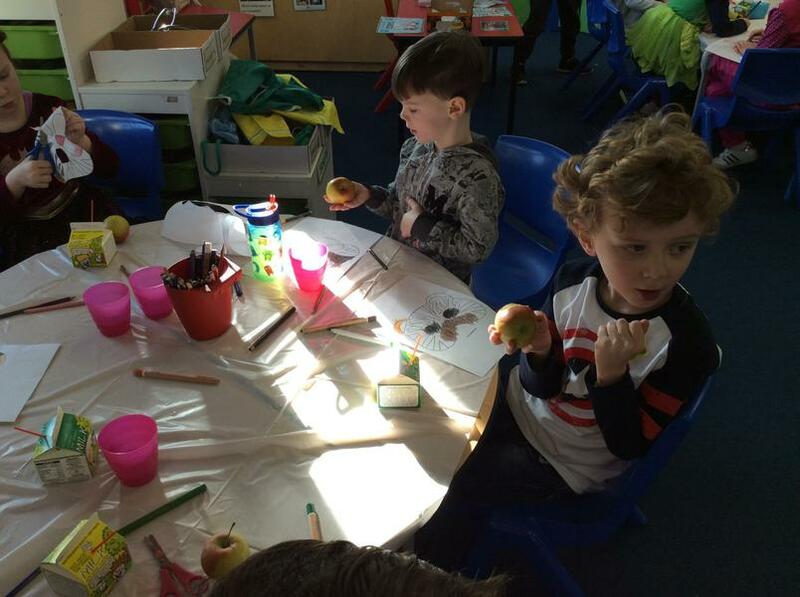 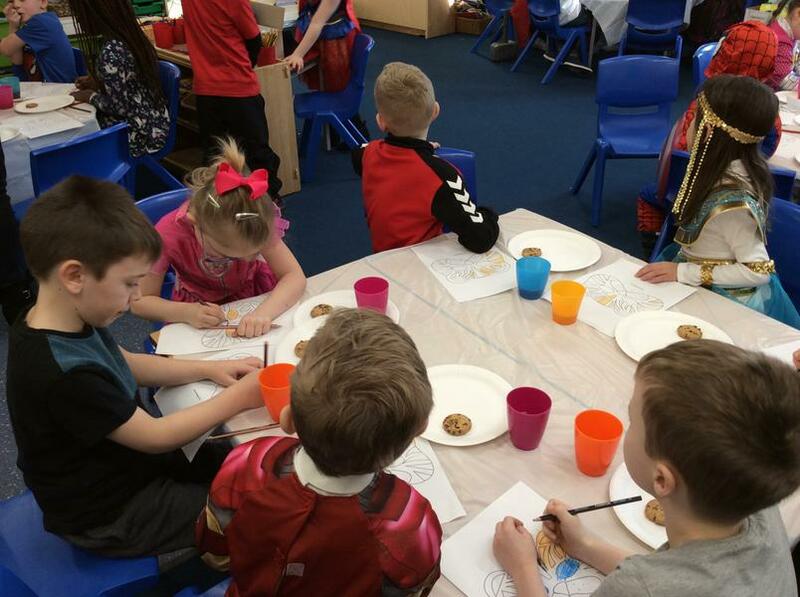 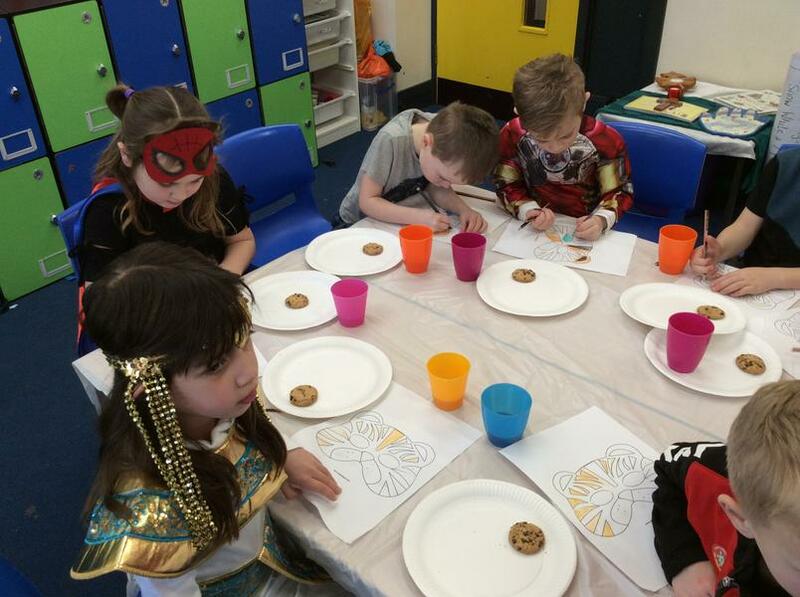 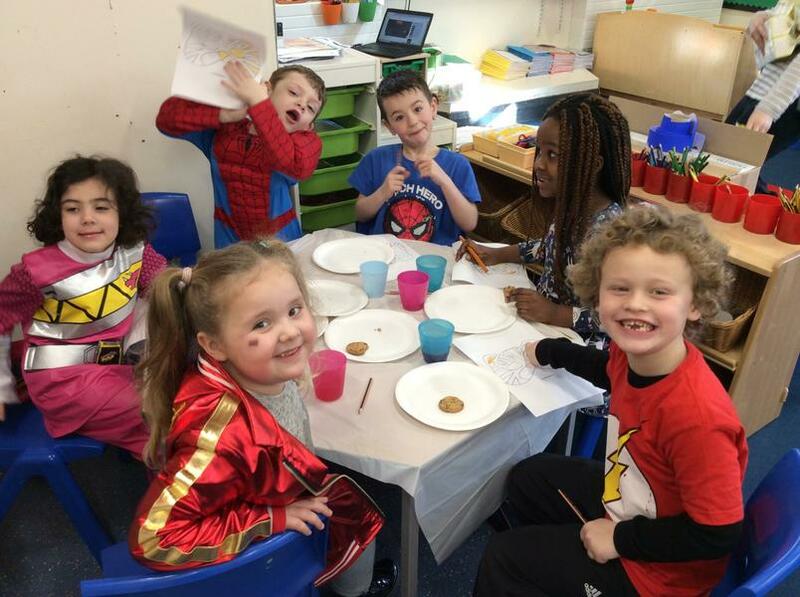 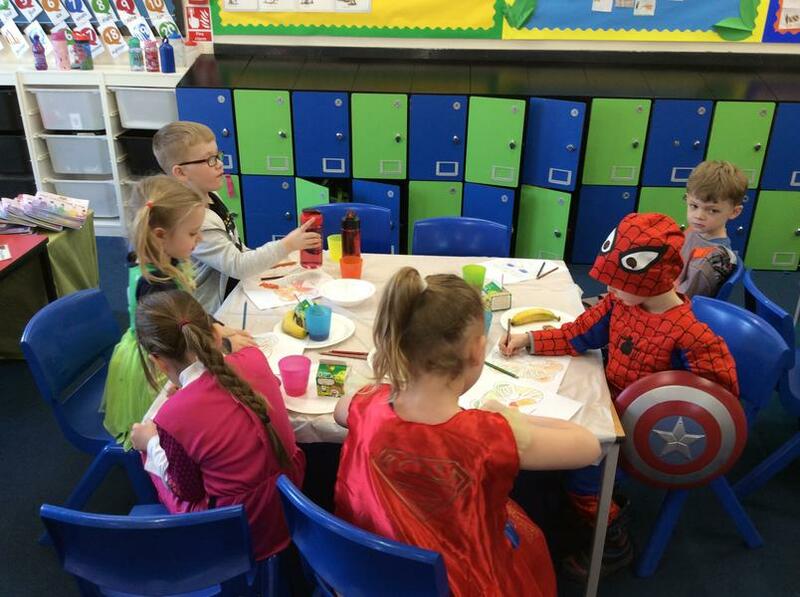 The children enjoyed a snack, listened to music and created a tiger mask. 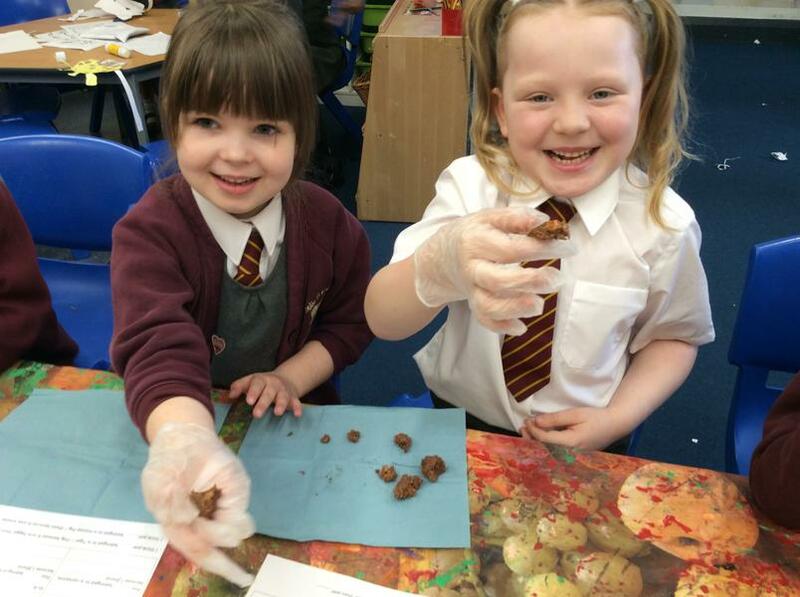 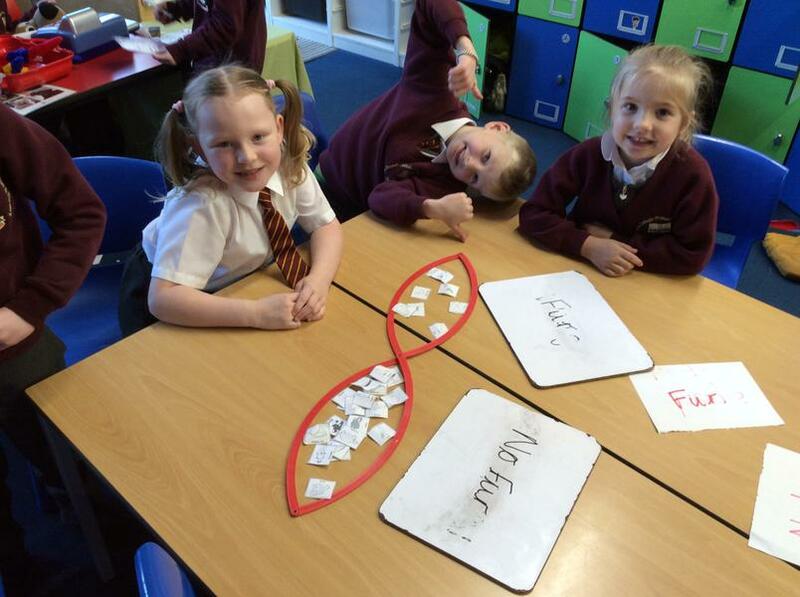 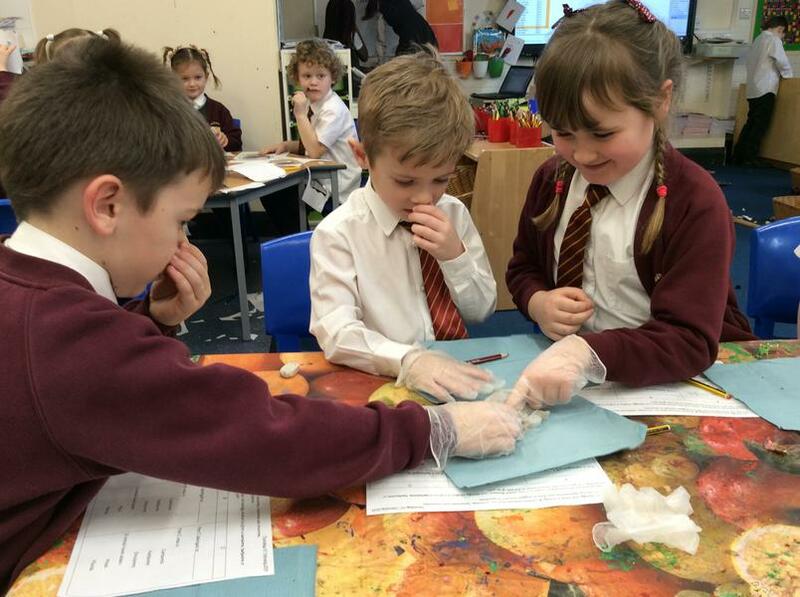 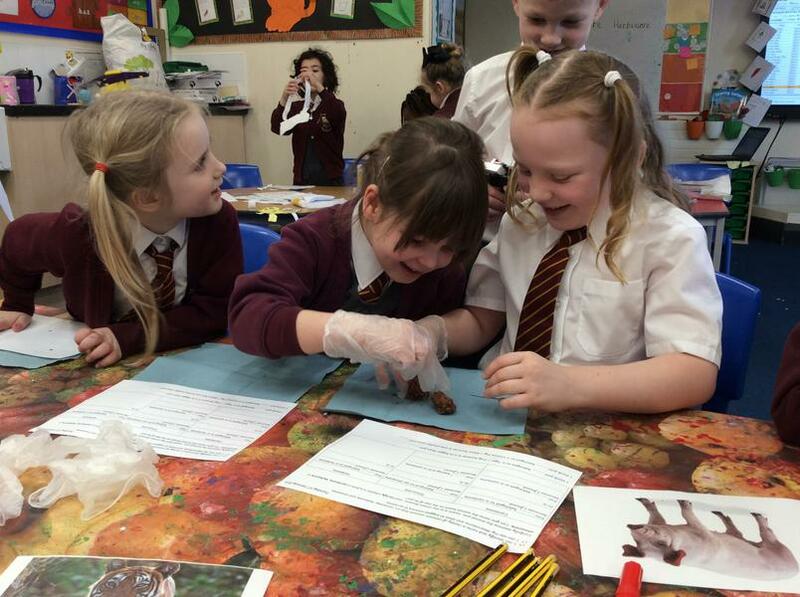 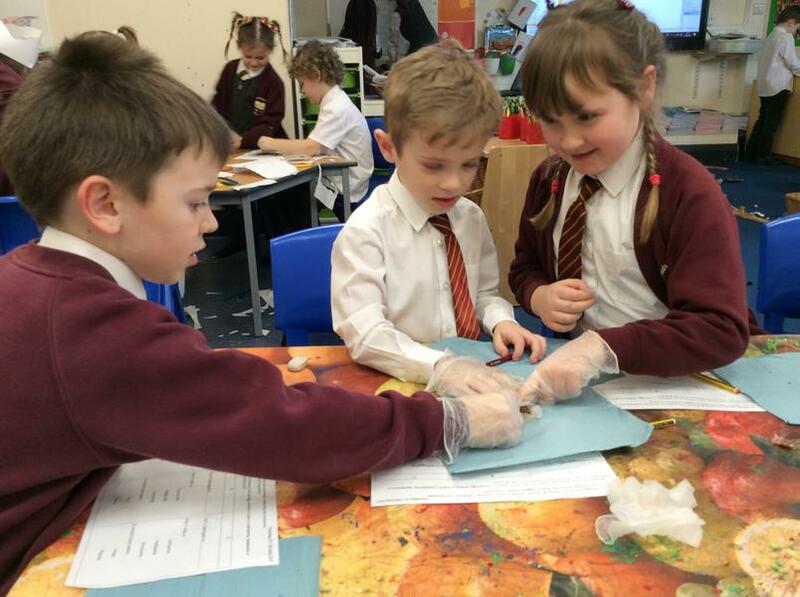 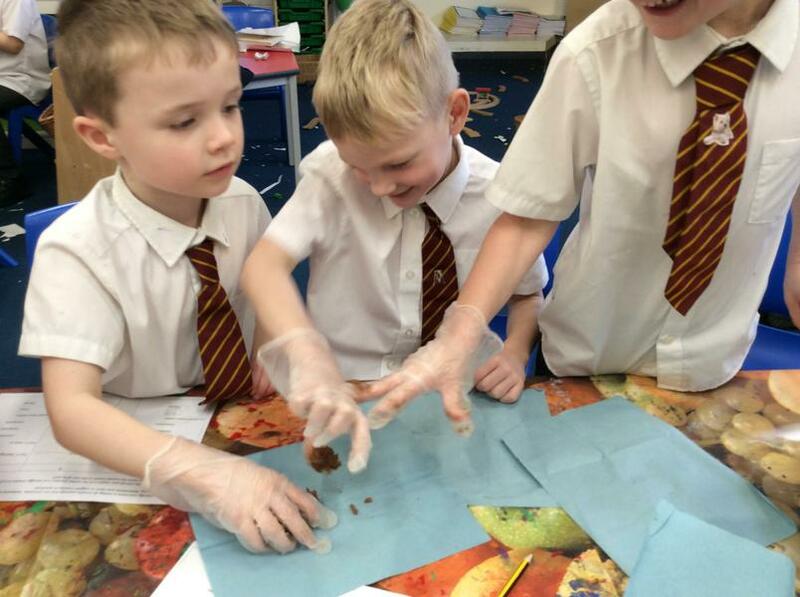 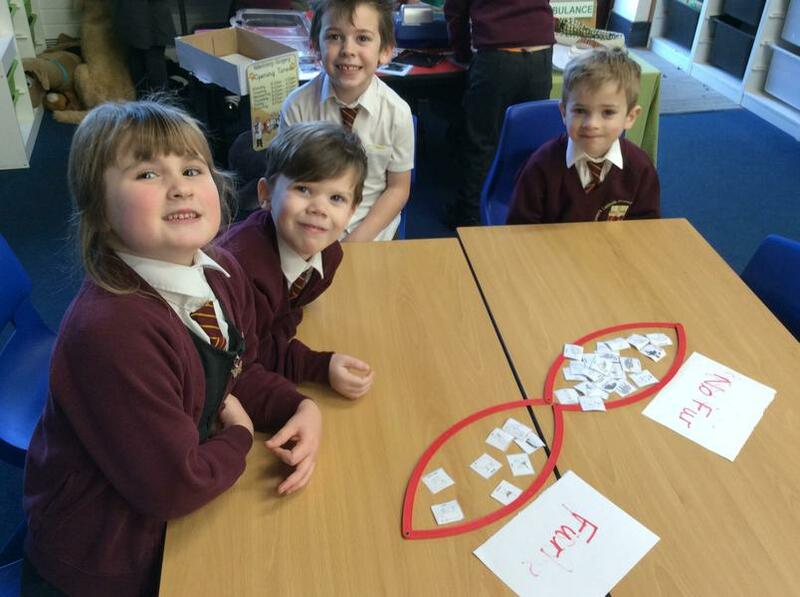 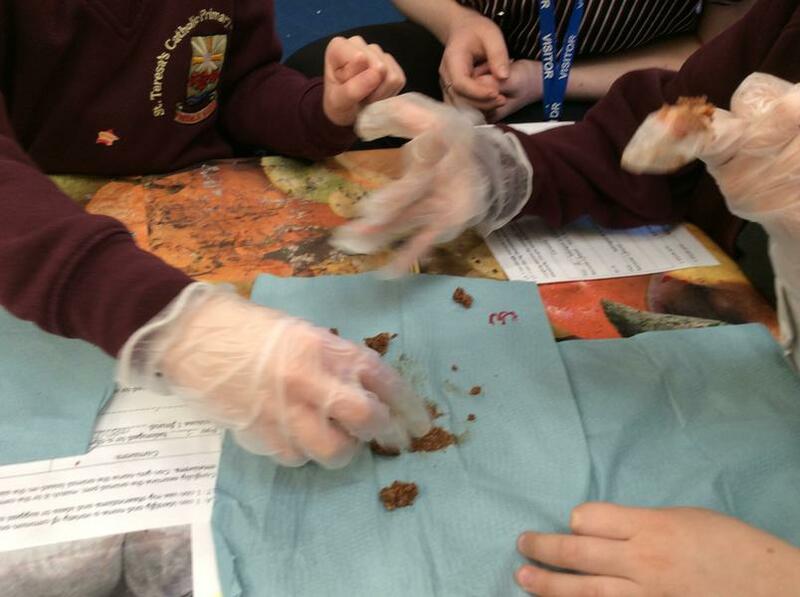 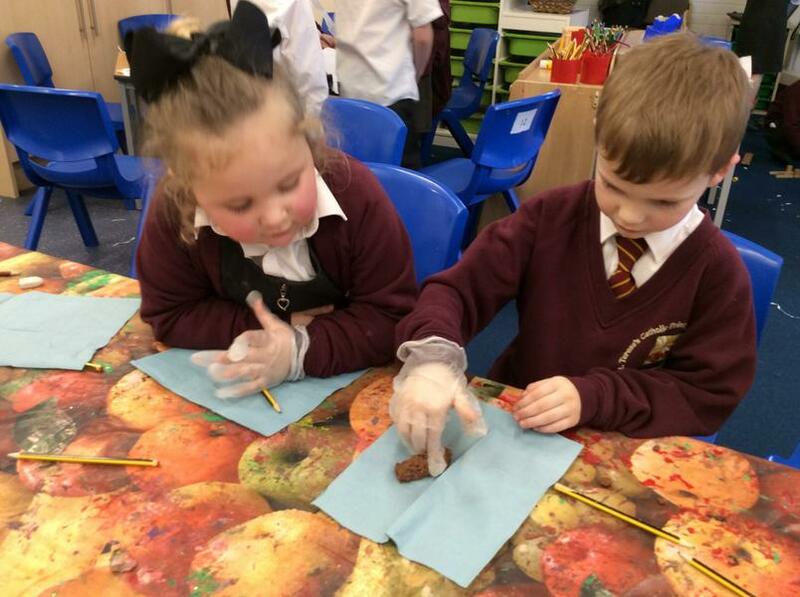 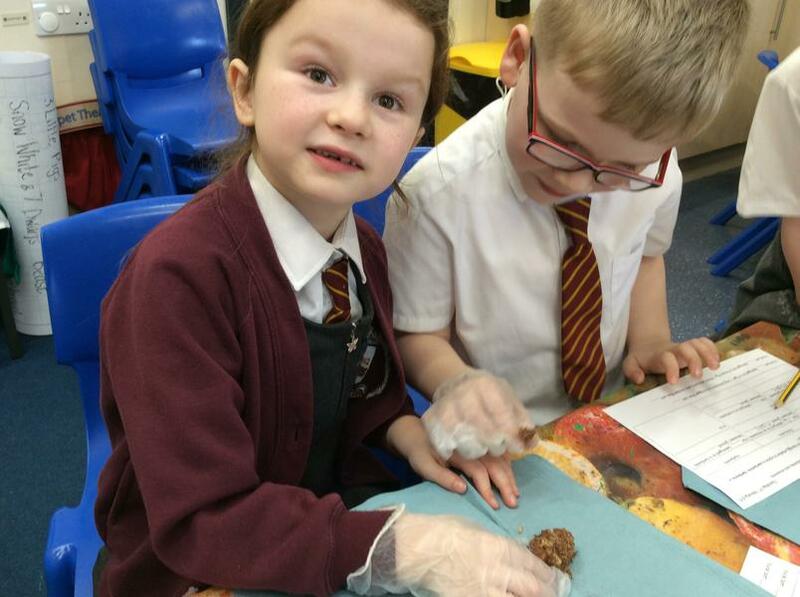 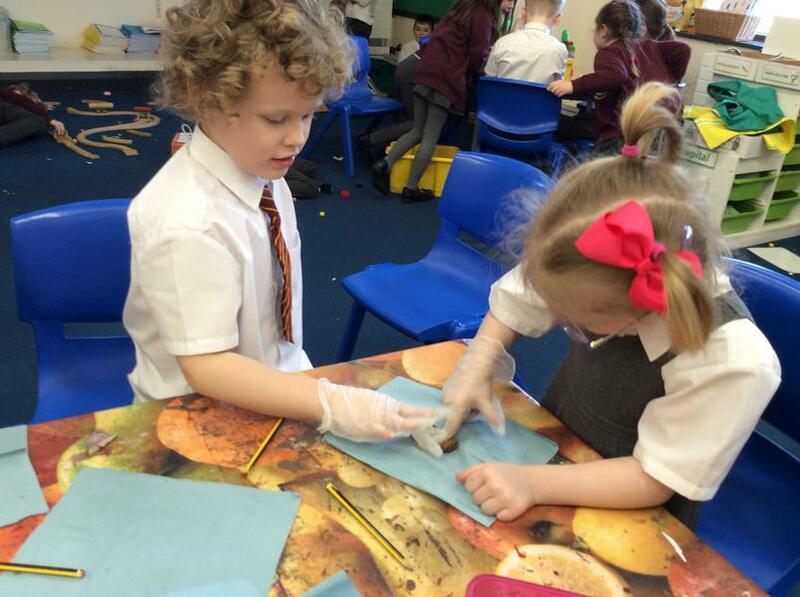 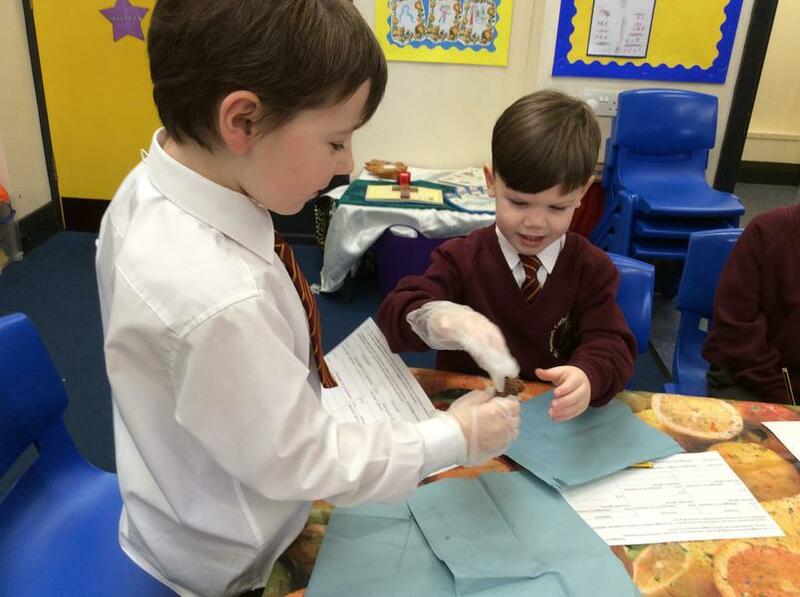 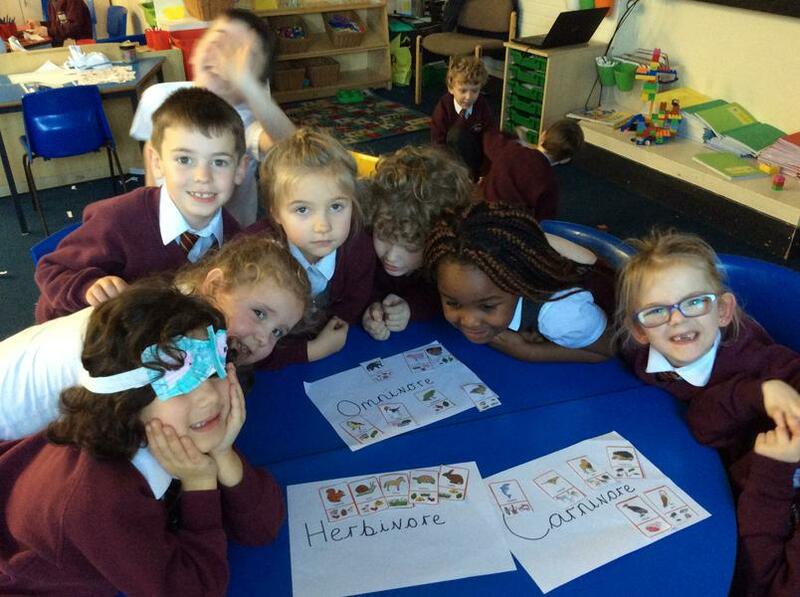 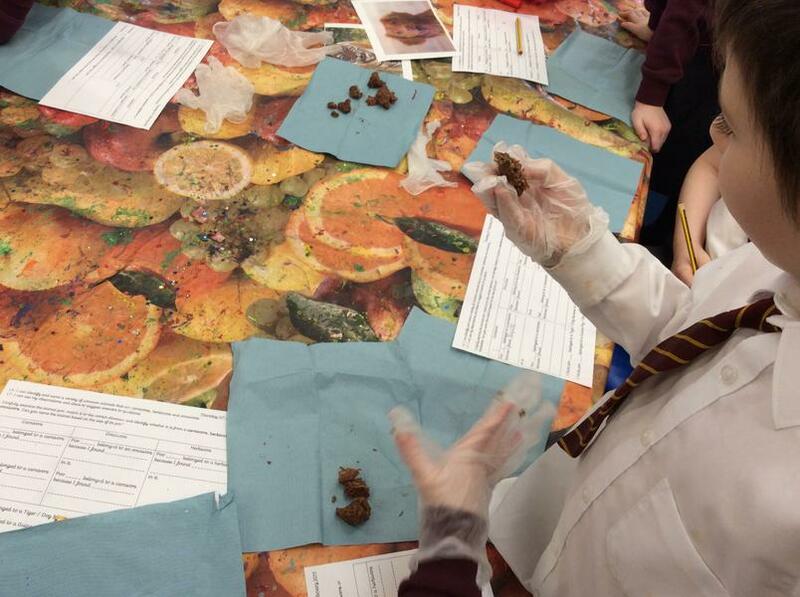 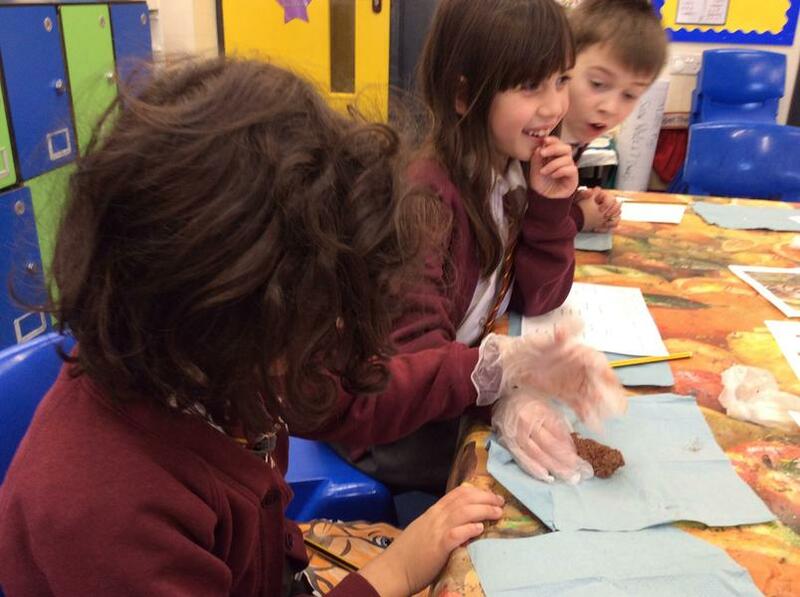 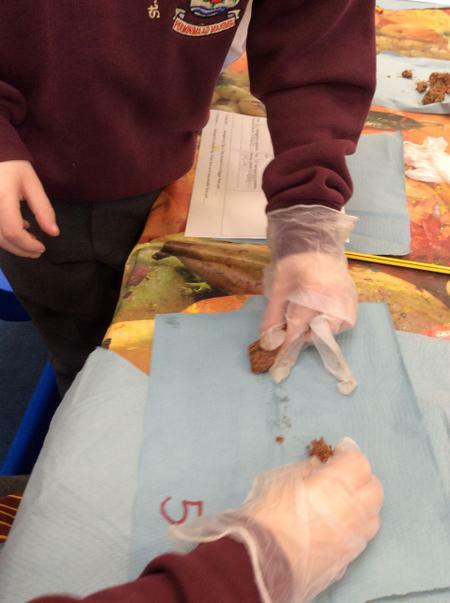 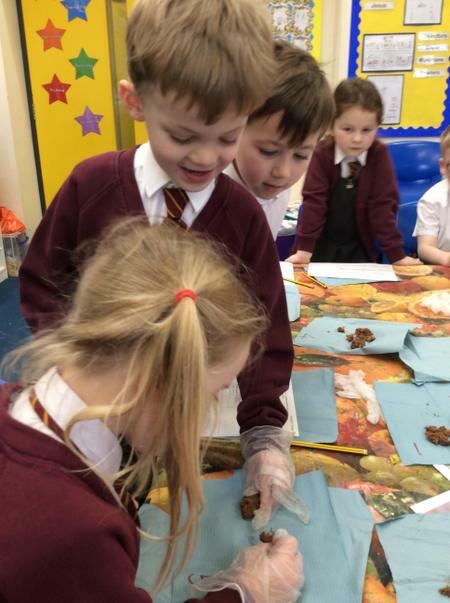 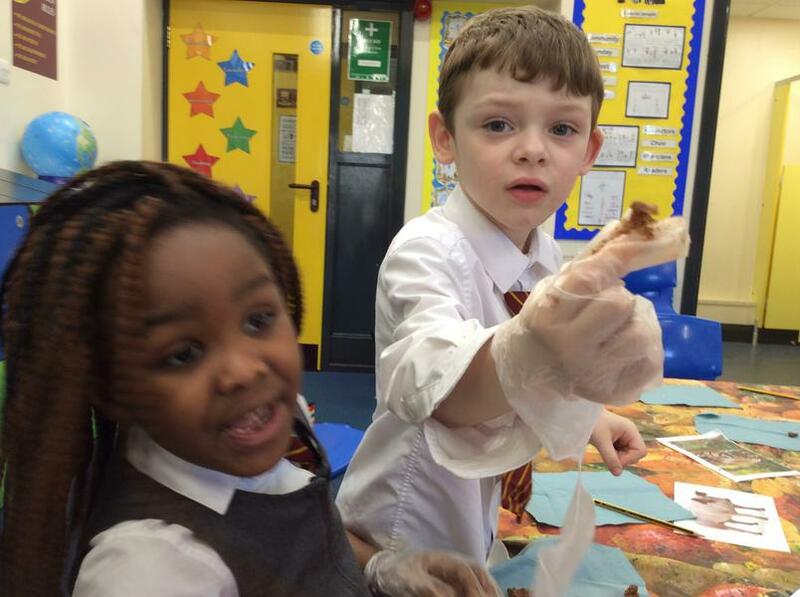 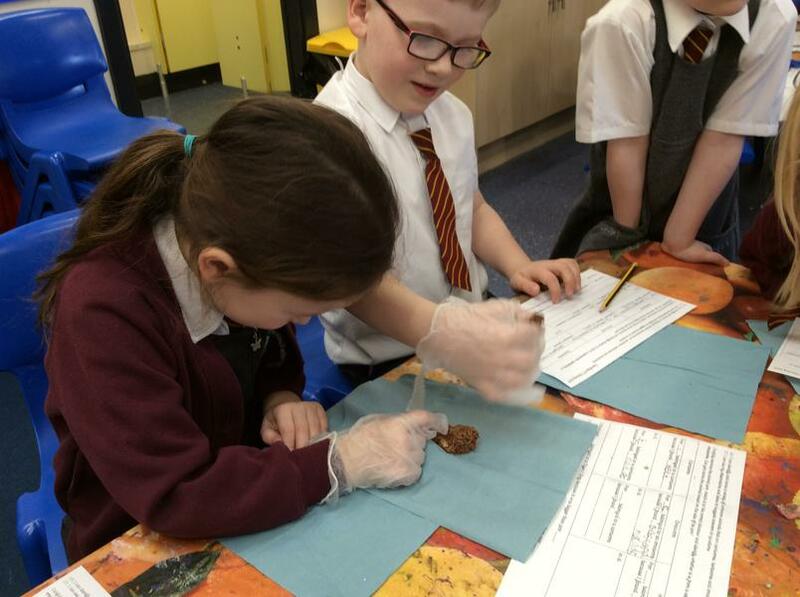 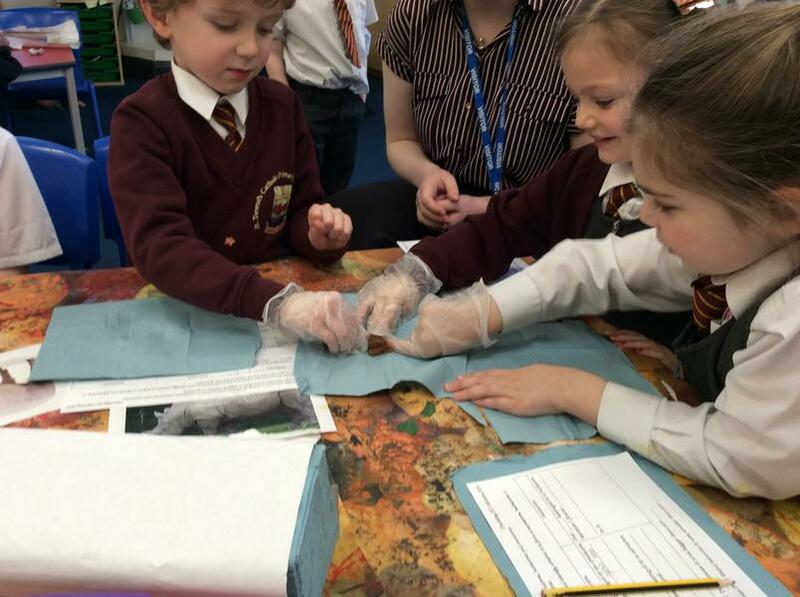 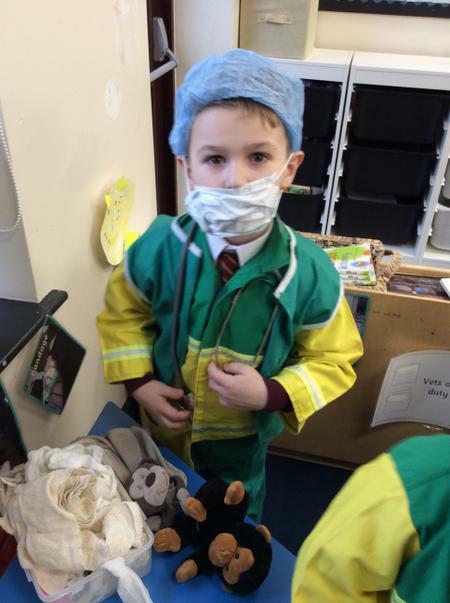 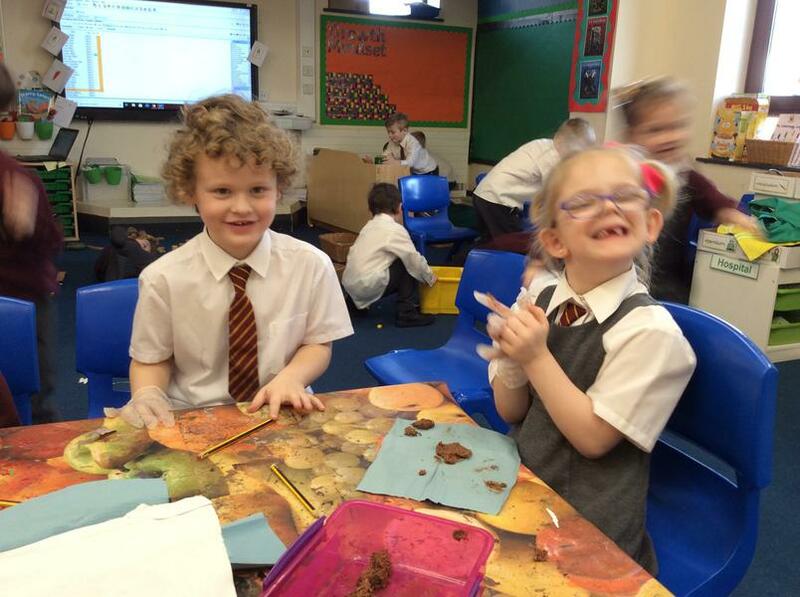 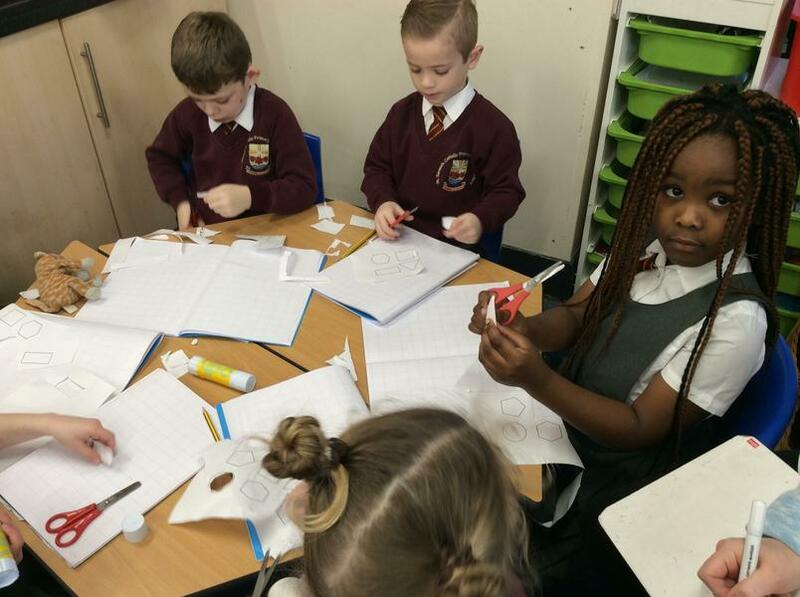 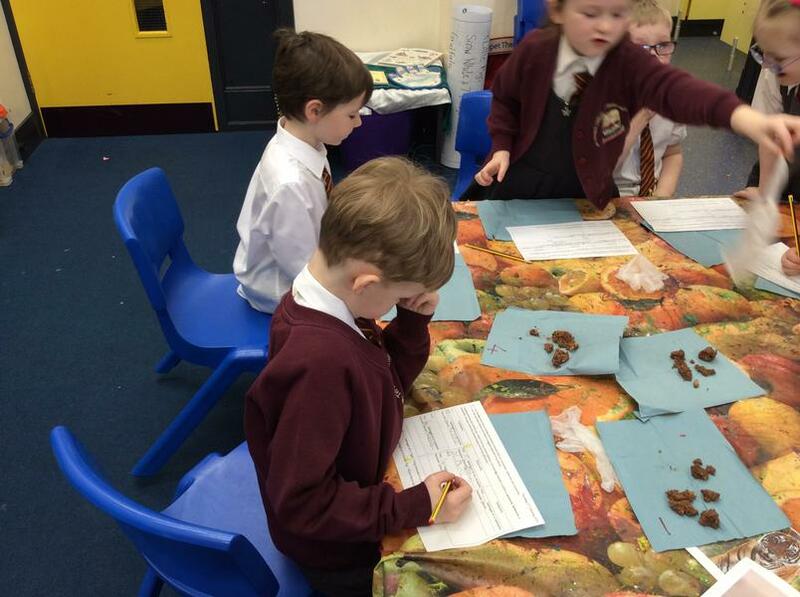 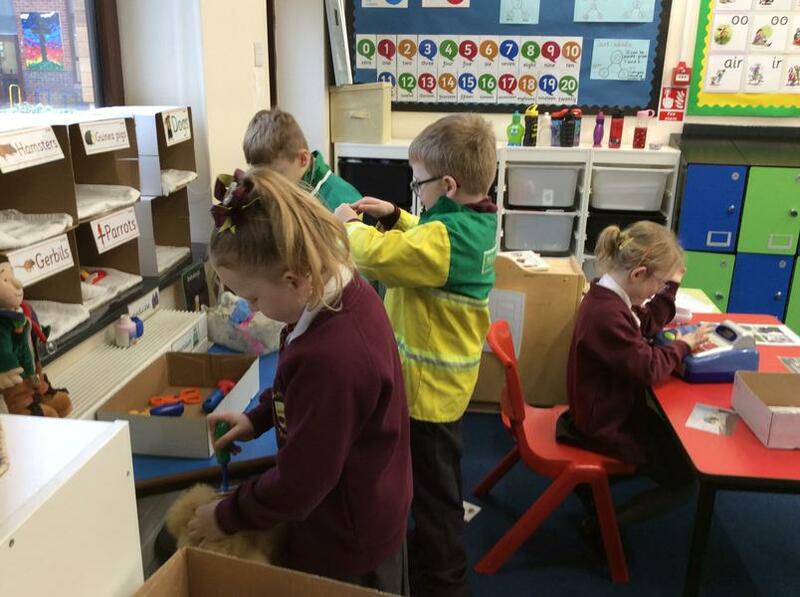 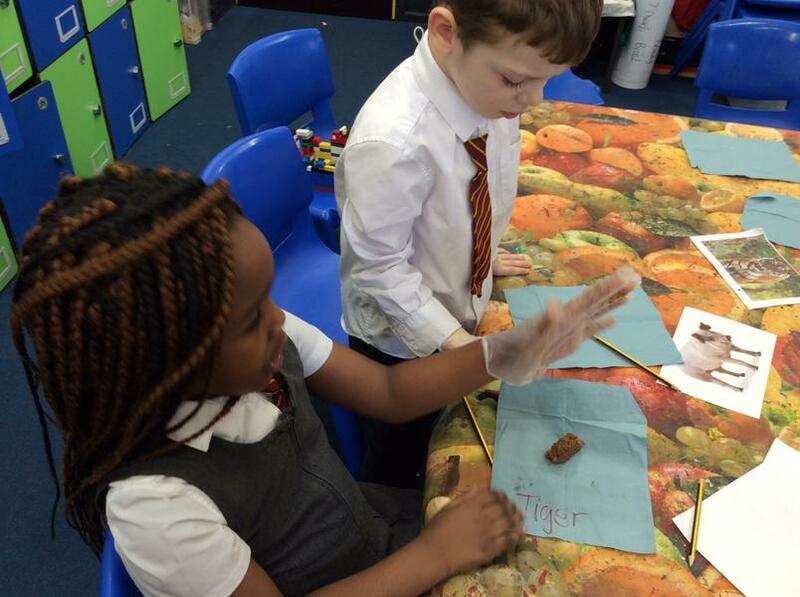 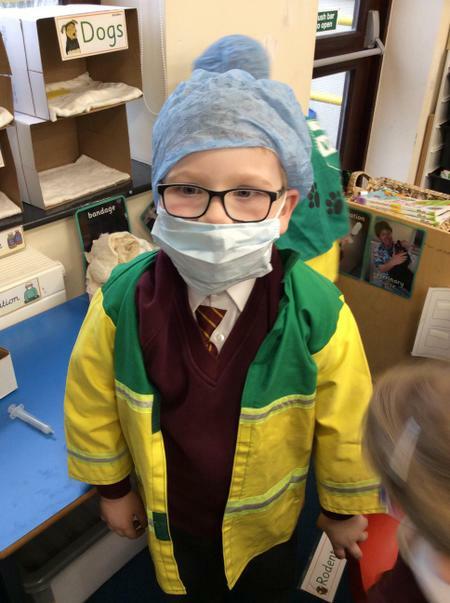 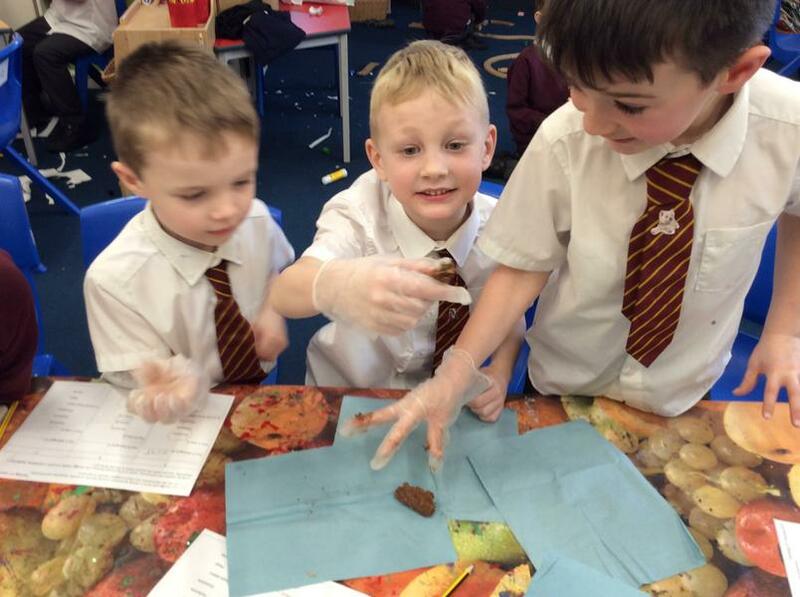 We’ve had lots of fun dissecting and investigating animal poo to see what we could find in it! 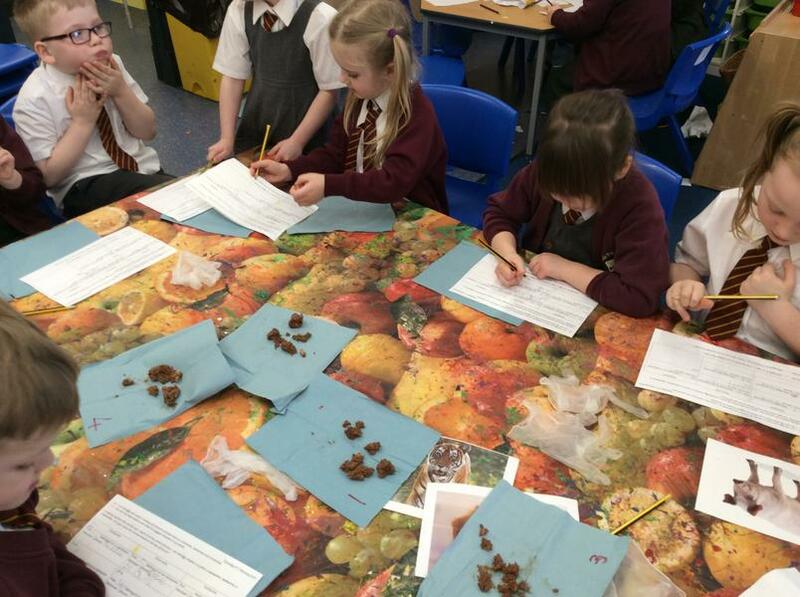 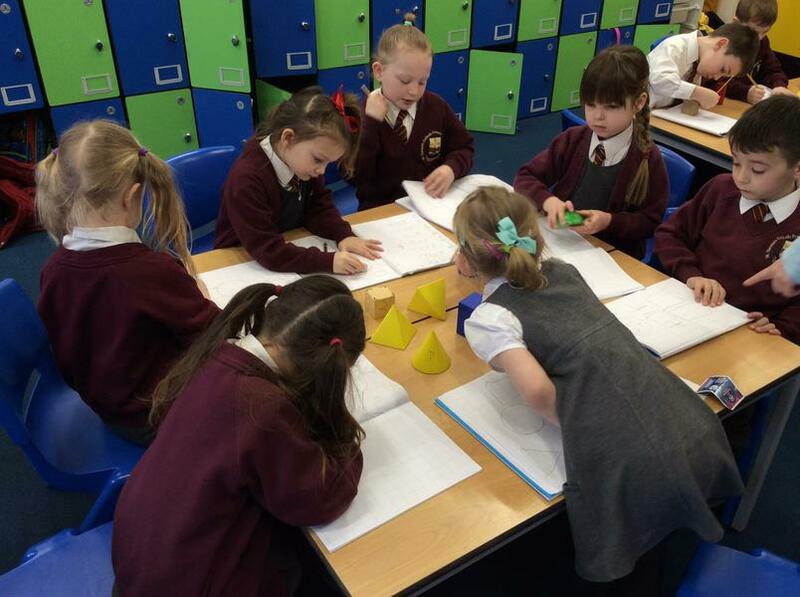 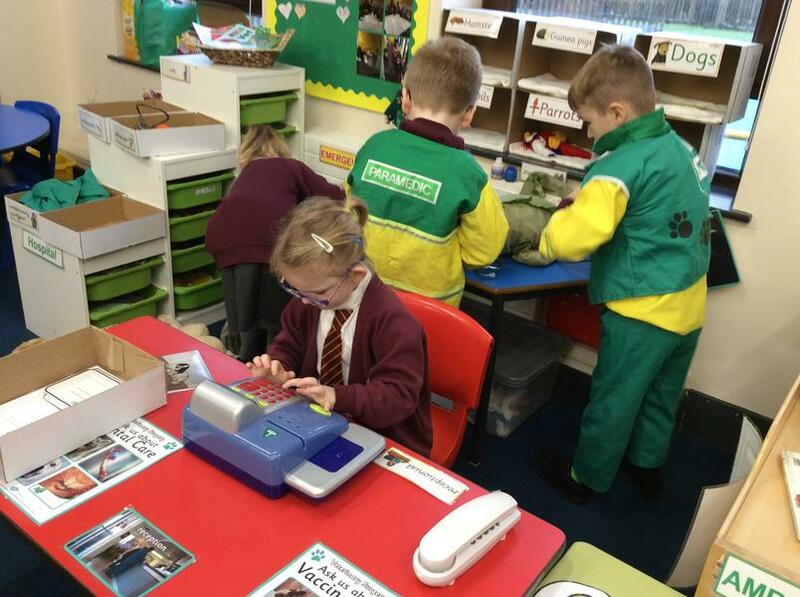 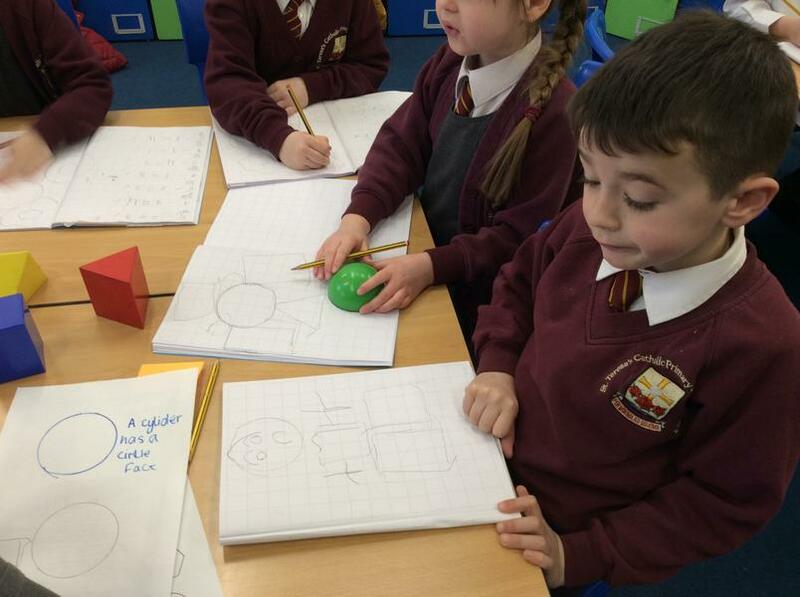 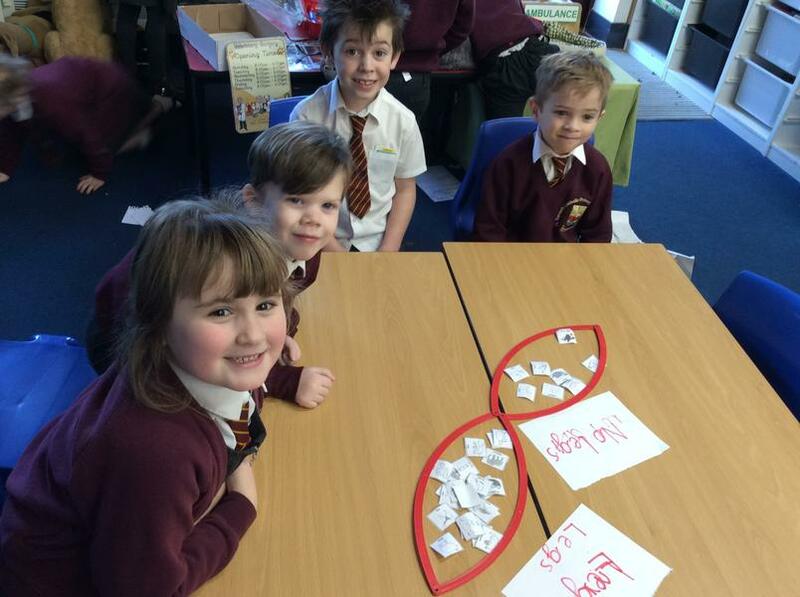 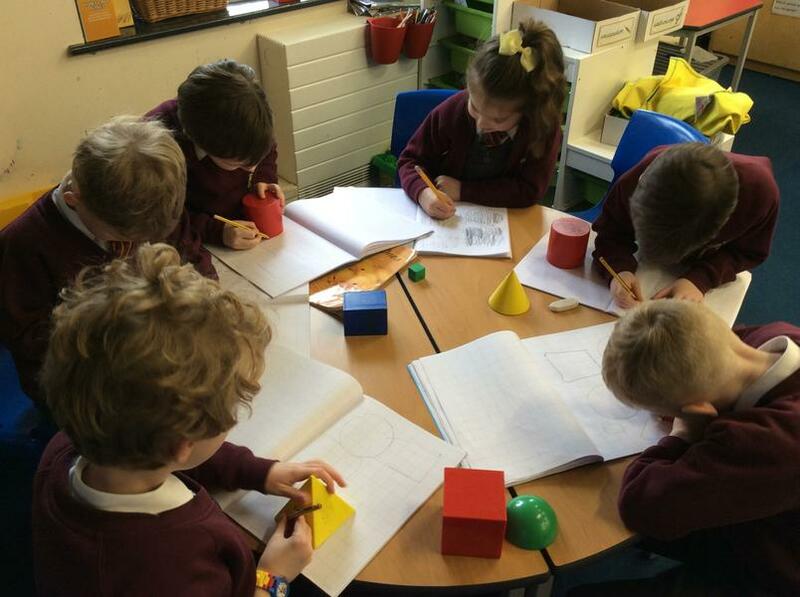 We looked at the size and contents of the droppings to match it to different animals. 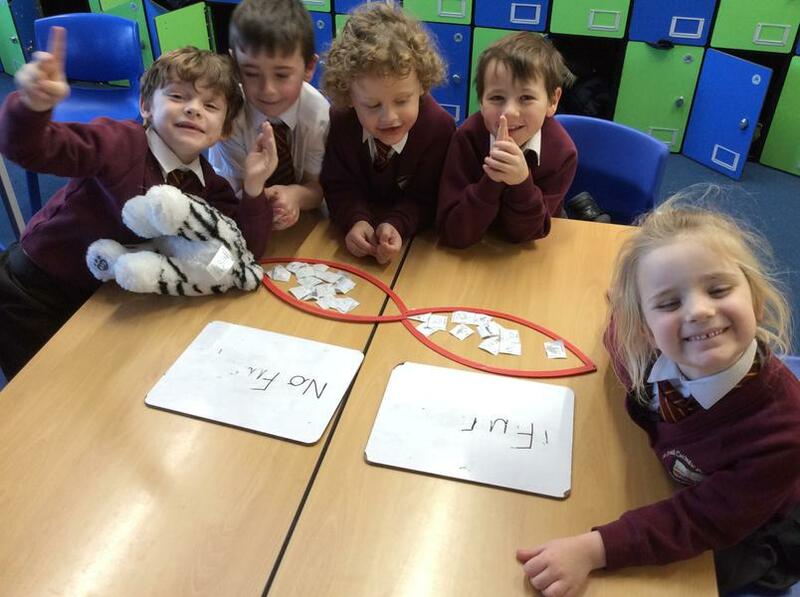 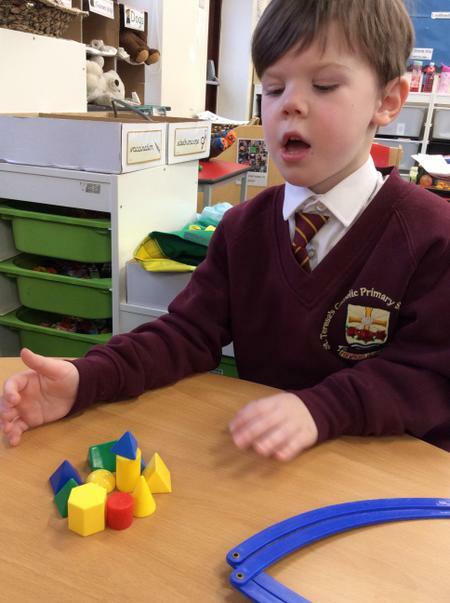 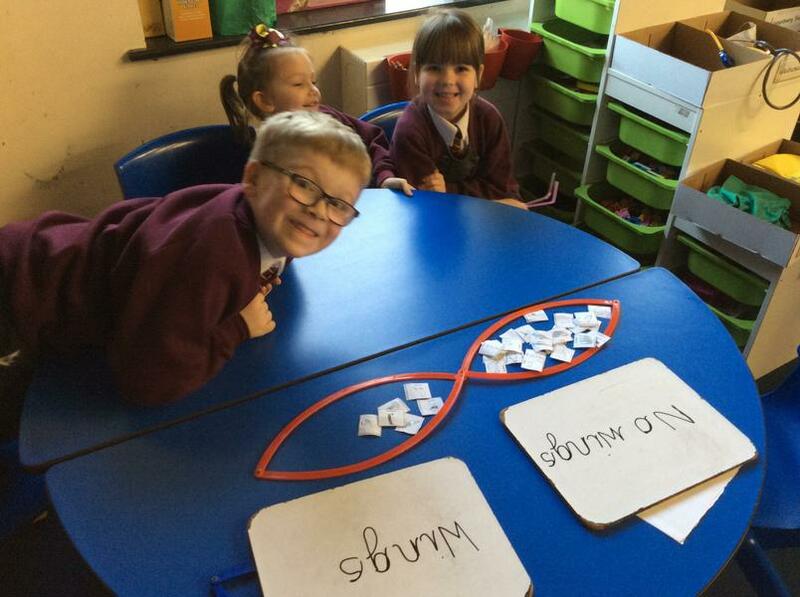 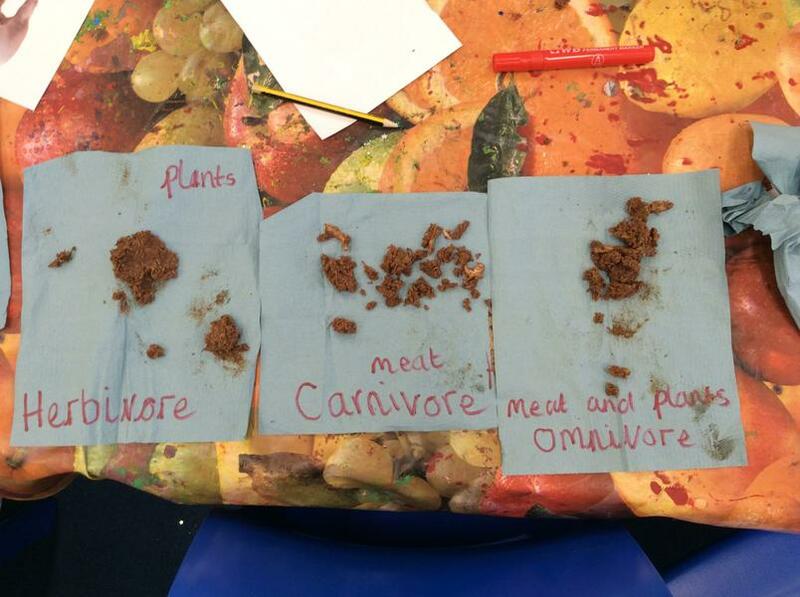 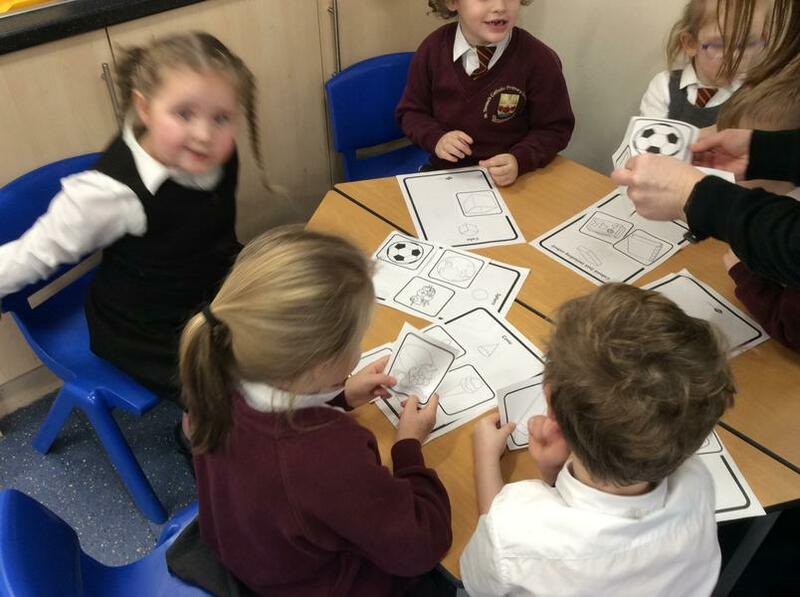 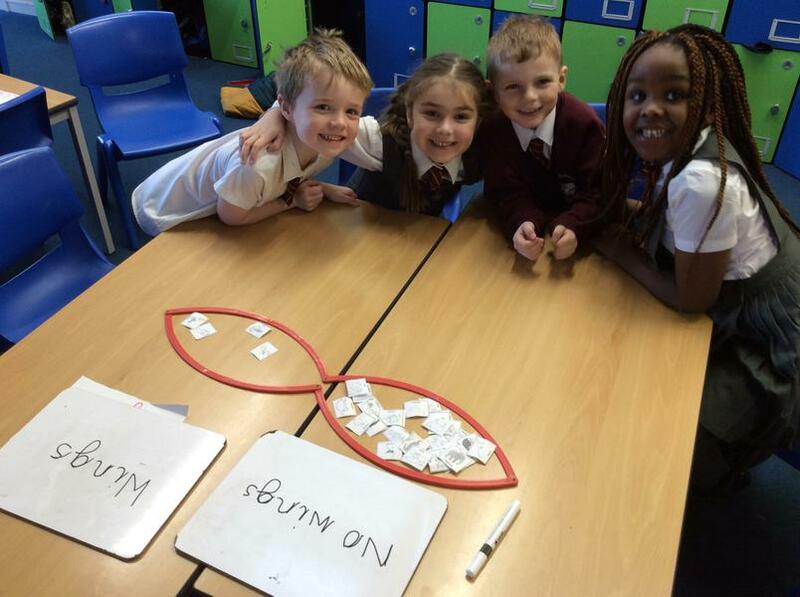 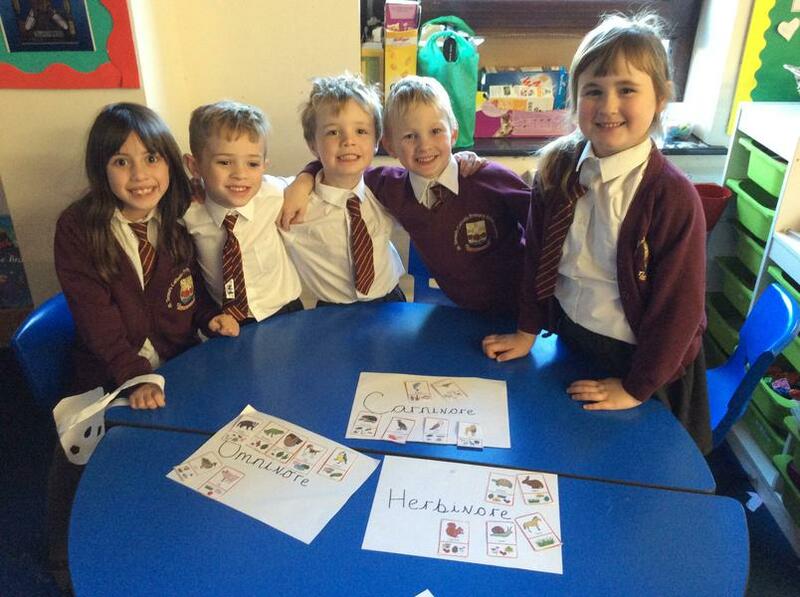 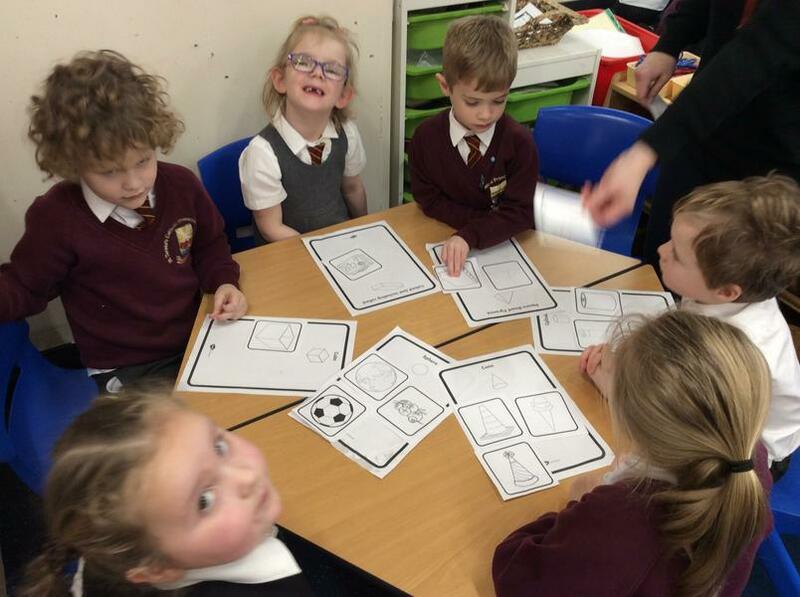 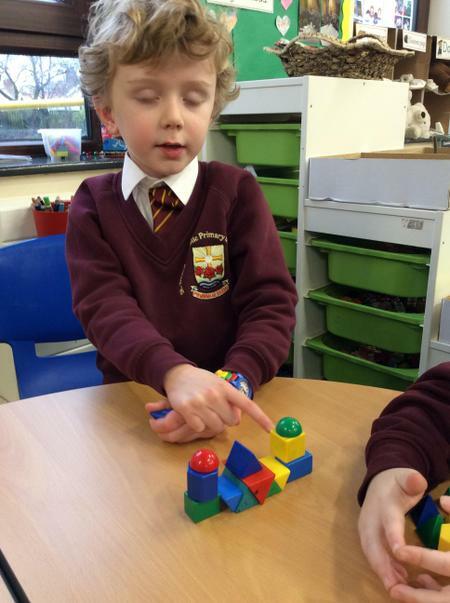 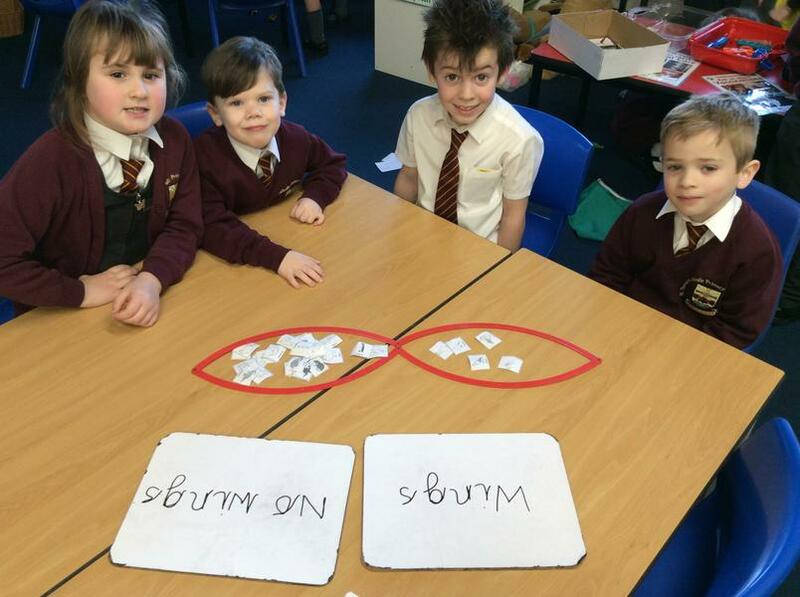 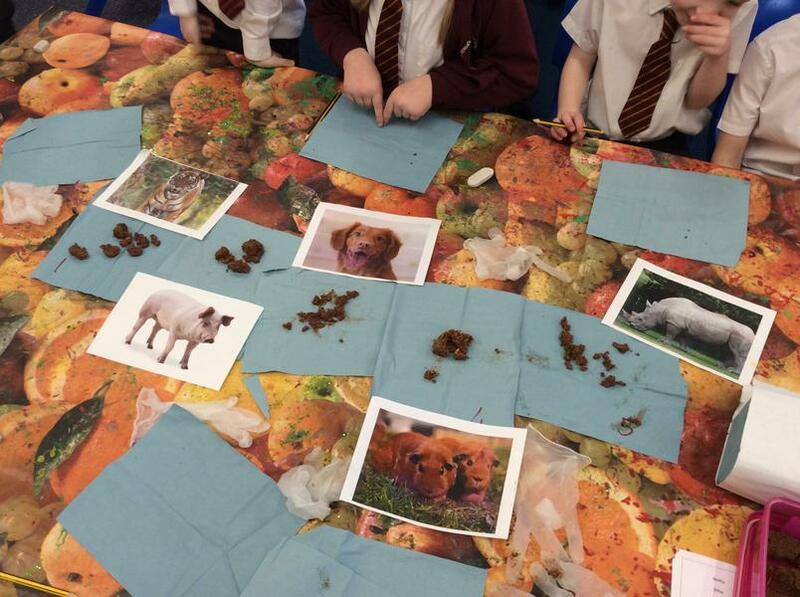 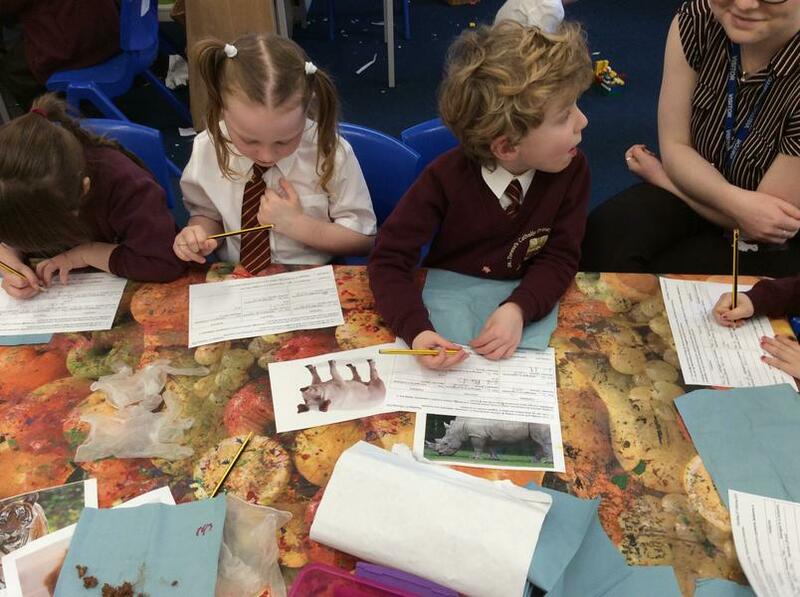 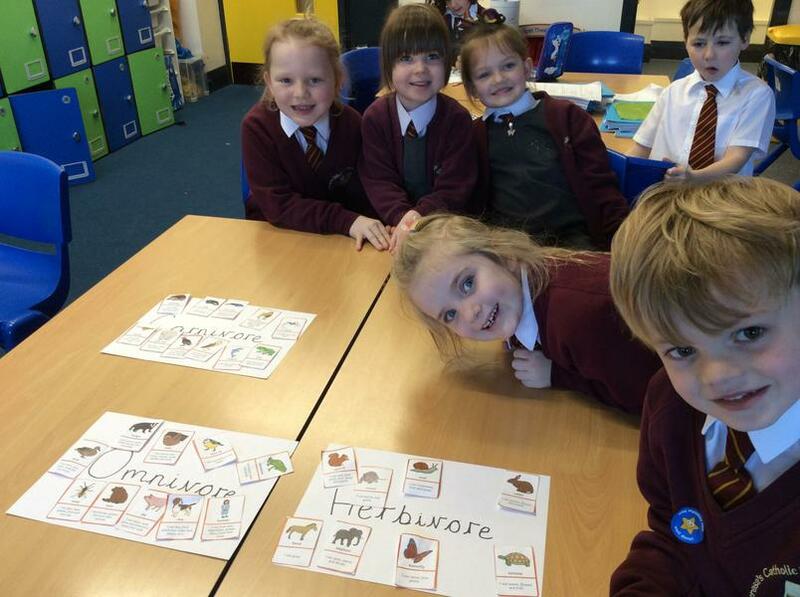 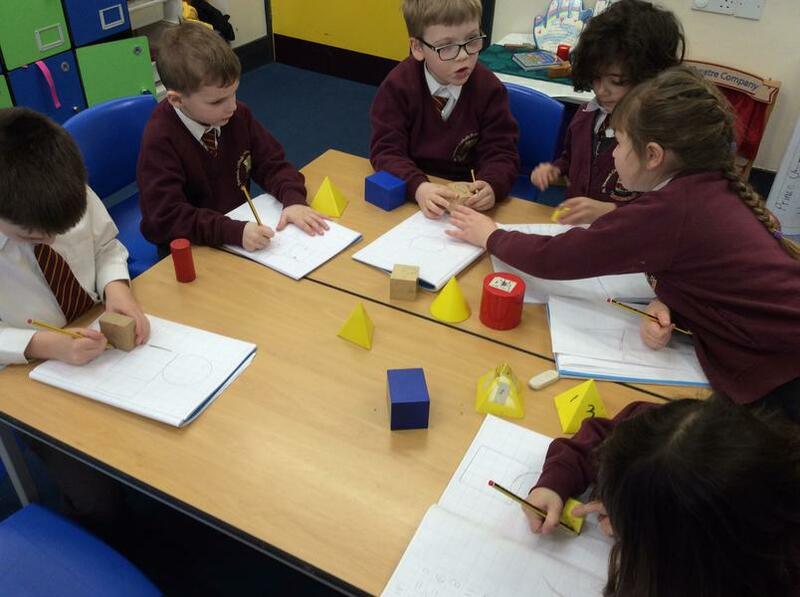 We could work out if the animal was a carnivore, herbivore or an omnivore by looking at its poo!